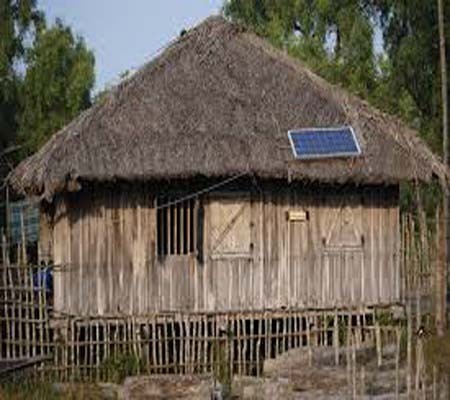 VOSD has been installing the Solar Home System (SHS) and Solar Cooker installation program from 2000 with the support of ANANDO organisation and installed 70 SHSs and 55 solar cookers in Uzirpur Upazilla of Barisal District successfully and still those SHSs and SCs are continuing properly. Then VOSD had been installed 100 SHSs in Uzirpur and Barisal Sadar Upazillas of Barisal District with the support of IDCOL from 2014. Now VOSD has been installing SHSs with the support of IDCOL and has been installed 100 SHSS in Uzirpur, Barisal Sadar and Jhalakathi Sadar Upazillas and continuing SHSs installations. It has trained staffs, volunteers and community initiators, who have been trained by the IDCOL and ANANDO organisation. It has established 12 SHSs supply centres in Uzirpur, Barisal Sadar, Nalchity, and Jhalakathi Sadar Upazillas and supplying SHSs continuously. The community people have become aware about the use of SHSs and they have become interested to install SHSs in their homes and demand has created among the community people, because, they are getting different benefits for the SHS like getting very low cost light from SHSs in remote areas, children can read easily, save fuel costs, less management costs, smokeless, reduced 50% fuel costs, can charge mobiles, torch lights, improve women’s health, reduced dirty-ness, saved natural resource destructions, emit no carbons, reduced air contaminations, and improve environmental conditions. Improve socio-economic, cultural and environmental status of the rural and urban poor as well as underprivileged people, emphasizing the women disables and children and also their emploment through undertaking appropriate and sustainable programs.